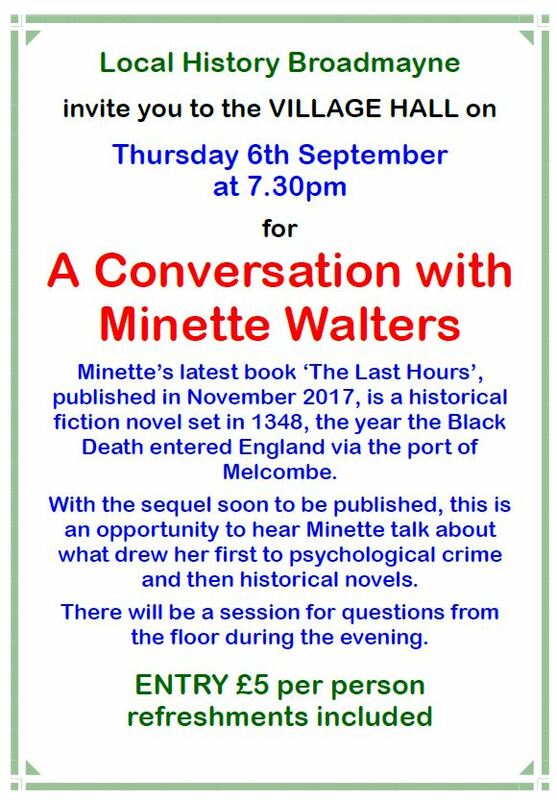 at 7:30 pm on Saturday the 8th September. 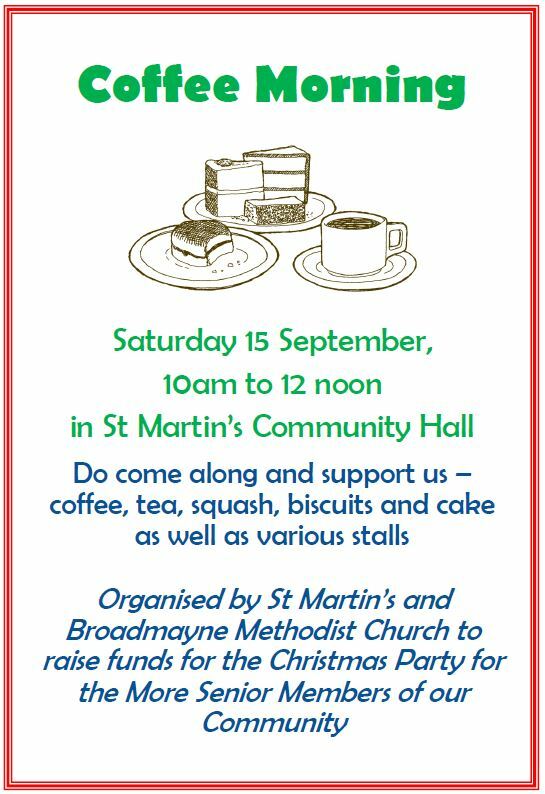 Organised by St Martin’s PCC in aid of Community Hall funds there will be a licensed bar and tickets, £12, are available from Tim Clayton (07443 659912) or from the Corner House Stores, Main Street, Broadmayne. 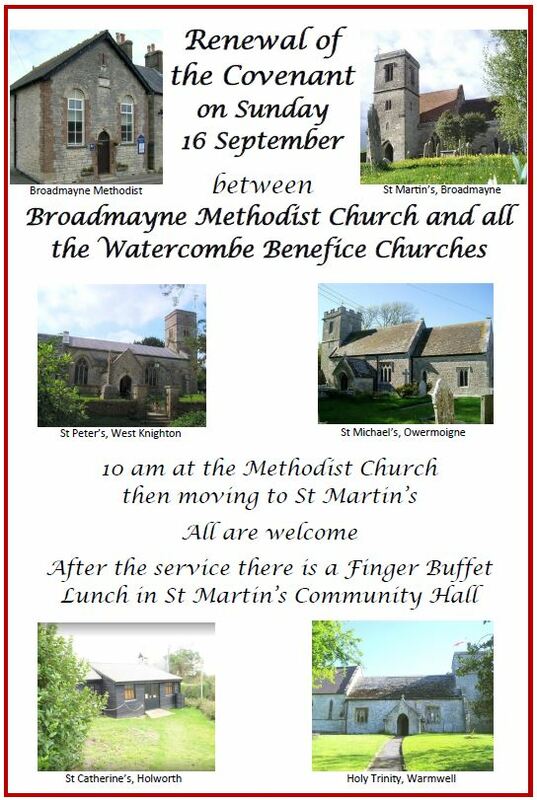 This will be discussed at the Parish Council Meeting on the 3rd September. In the mean time if you feel that you can assist the Parish Council in formulating its response to the application by talking to a member of the Parish Council’s Planning Group before the meeting please make contact using the Contact page on this website. Further details and the Decision Notice can be found by following this link. West Dorset District Council have recently notified us of the following three Planning Applications. These will be discussed at the Parish Council Meeting on the 3rd September. In the mean time if you feel that you can assist the Parish Council in formulating its response to any of the applications by talking to a member of the Parish Council’s Planning Group before the meeting please make contact using the Contact page on this website. Coombe Valley Road in Weymouth will be closed between Rhosewood Drive and Barton Drive from 30 July to 10 August for Southern Gas Networks to undertake gas mains replacement works. This work will then move to between Barton Drive and Littlemoor Road under two-way temporary lights. The work is taking place in the summer holidays due to their proximity of the school. This information from Dorset Highways, DCC.